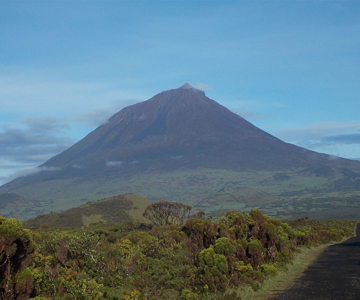 Last stretch of European soil, in the middle of the Atlantic Ocean, the Azores archipelago made of 9 volcanic islands is one of the most appreciated destination when it comes to hiking and cycling. 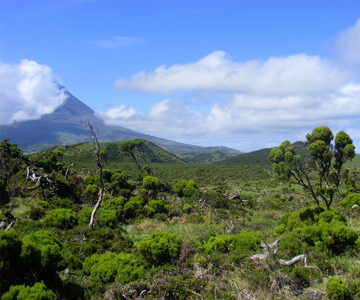 Spread across 600km, the Azores are located at about 1500km for Portugal’s coasts and enjoy, thanks to its insularity, a profuse and untouched fauna and flora that amazes locals, tourists and scientists. 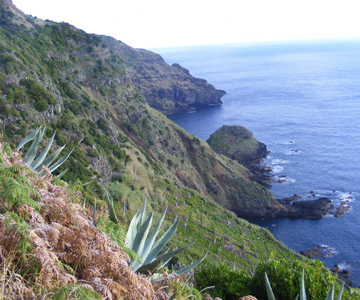 These incredibly beautiful basaltic islands allow the hikers to enjoy some of the best walking tracks, from the least challenging to the most challenging ones, in an incredible scenery where you will enjoy many vantage points over the different calderas, summits and even over the other neighbouring islands. Many waterfalls, fumaroles, lakes, the tropical jungle atmospheres thanks to the “ribeiras”, pastures with blue hortensias alongside them and the immensity of the everlasting waves hitting the black sand of the beaches are examples of many colours and contrasts that you marvel at while travelling in these jewels of the Atlantic. Vary between sundown walks on the beautiful black sand beaches with mountain hikes where your training will be used and observe the contrast between the dark soil and the vivid green of the profuse endemic and protected greenery. Fresh-air, outdoor activities and nature lovers will be amazed by this heaven-on-earth type islands. Wandering in the cities of these islands is for many a trip back in the colonial past of one of the greatest empires at the time, and one of the first countries to have colonised the “New world”. Major checkpoint before going across the immense Atlantic Ocean, these islands have developed thanks to the explorers, travellers and even fishermen that have stopped, permanently or not, on these islands. Even the famous Christopher Columbus stopped there! Let yourself be disorientated by the narrow and windy streets, the colonial architecture and by what is most certainly the most beautiful city of these island of this archipelago, Angra do Heroismo and its UNESCO world heritage city centre. The Azores, these wonderful islands, lost in the middle of the ocean are truly and thing of sheer beauty and you will not regret travelling there !